Give the gift of global flavor with this set of ten, single-estate teas from around the world. 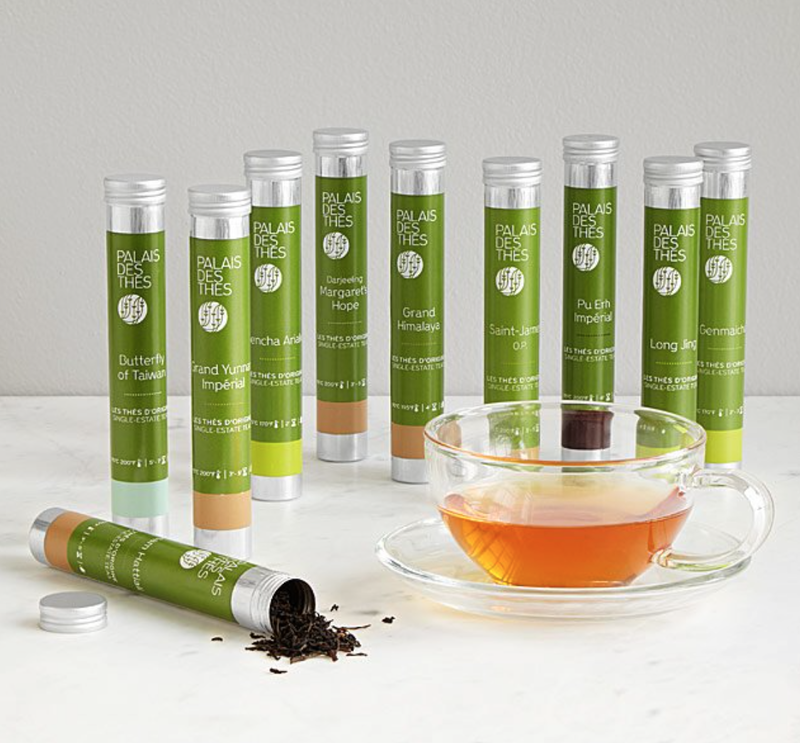 Each tube has enough tea leaves for 6-8 cups of tea and comes with a booklet that gives you information about each tea and tips for optimal brewing. 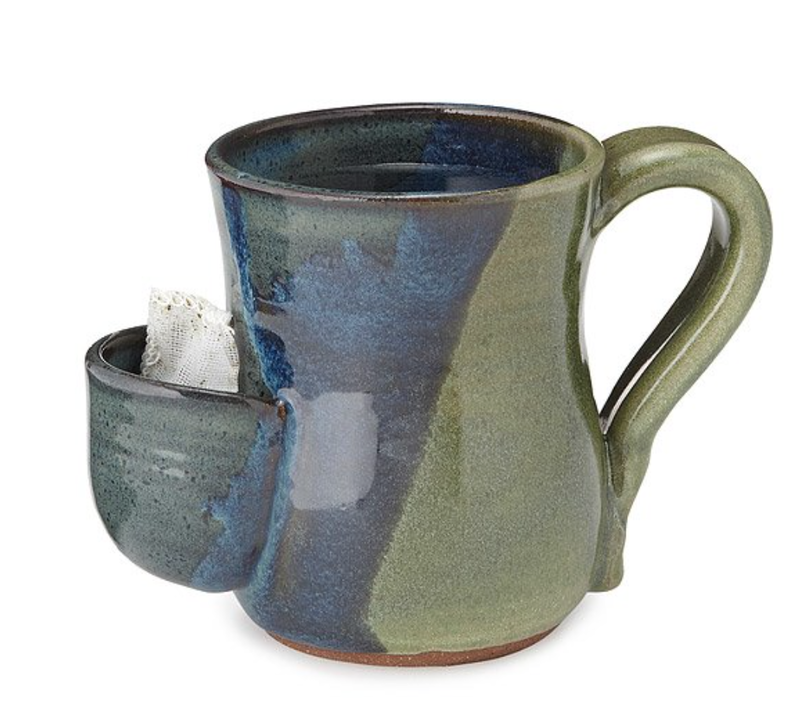 2) Tea Bag Pocket Mug – $34 This hand-made mug ingeniously includes a built-in place to deposit your tea bag. This single mug is a great gift for your tea-loving holiday hostess, your child’s patient teacher, or your green tea-obsessed co-worker. 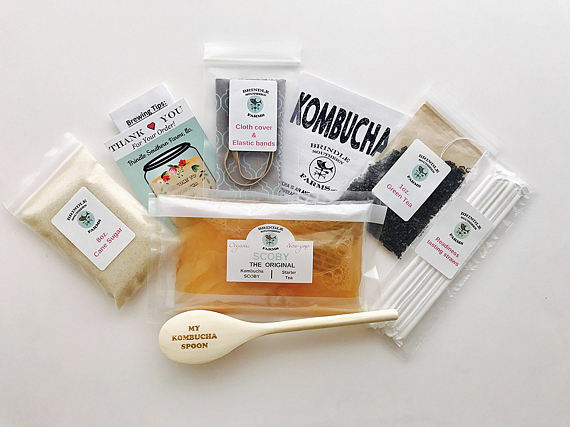 Kombucha is all the rage, and now you can make it in your home with this handy crafting kit. 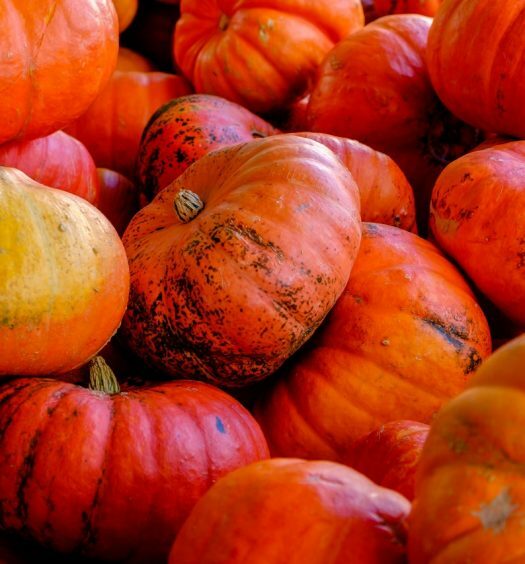 Everything in the kit comes from a farm in Central Florida that is 100% organic. Kombucha’s star ingredient—SCOBY aka “Symbiotic Culture of Bacteria and Yeast”—comes freshly harvested and sealed in a food grade vacuum seal pouch. The kit also comes with an e-book that will walk you through the home brewing process and answer any questions. 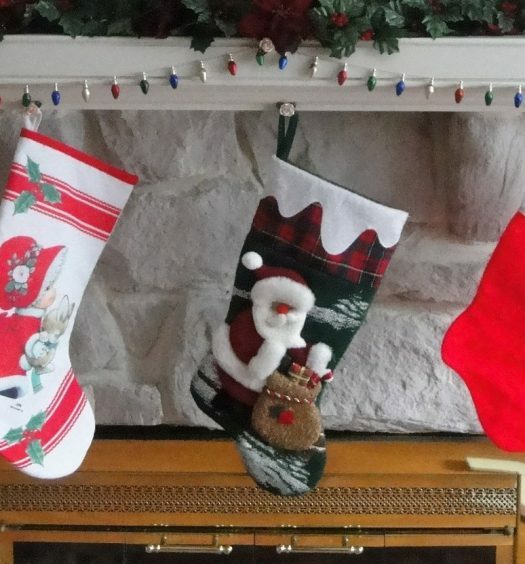 The perfect gift for Hanukah? Eight nights of tea. 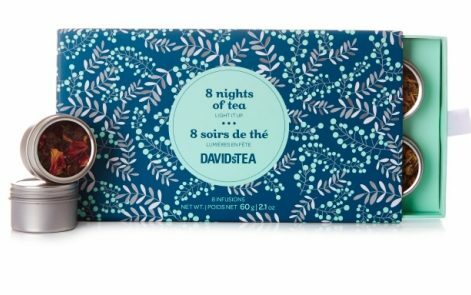 This set from David’s Tea includes eight tins of kosher tea that each make about 2 cups of tea. Follow up lighting the menorah with sipping a cuppa alongside your better half. Flavors include: Carrot Cupcake, Cinnamon Rooibos Chai, Peppermint Amour, and Super Ginger. 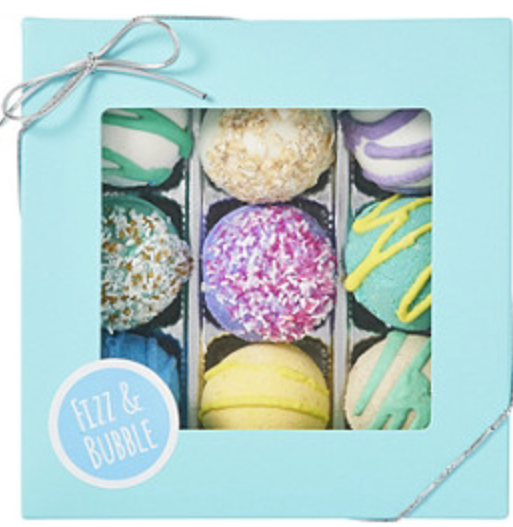 Searching for the perfect gift for a friend who loves tea and cocktails? 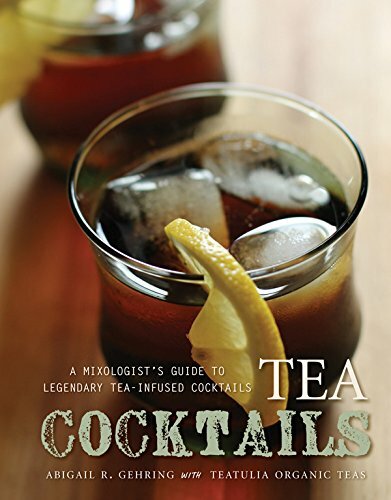 Give them this cookbook by Abigail R. Gehring, which includes 75 recipes for unique tea-spiked cocktails. 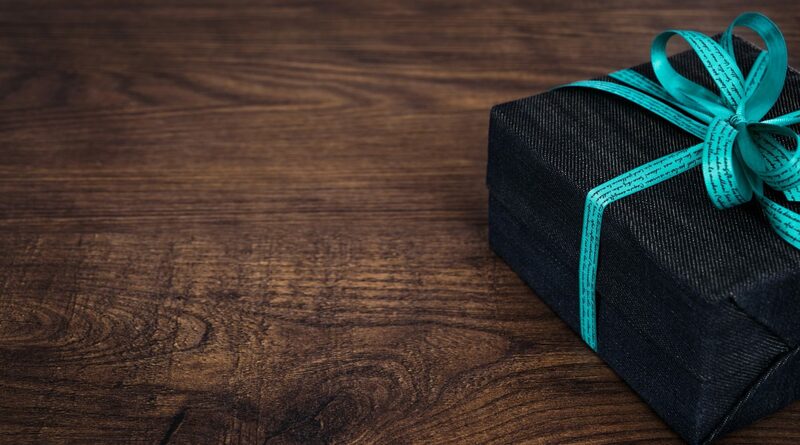 Recipes your giftee can look forward to include: Rooibos Berry Daiquiri, Spiked Lemonade with Thyme, Dark and Stormy with Ginger Tea, Lemongrass Mojito, Chai White Russian, Peppermint Cosmo, Jasmine Green Tea Julep, Yerba Mate Smoky Martini, and a Riesling Jasmine Hot Toddy. Bottom’s up! This simple, elegant teapot is a great gift for the modern, minimalist person on your gift list. The teapot is made from high-quality borosilicate glass, and its double-walled lid is made from stainless steel and plastic. 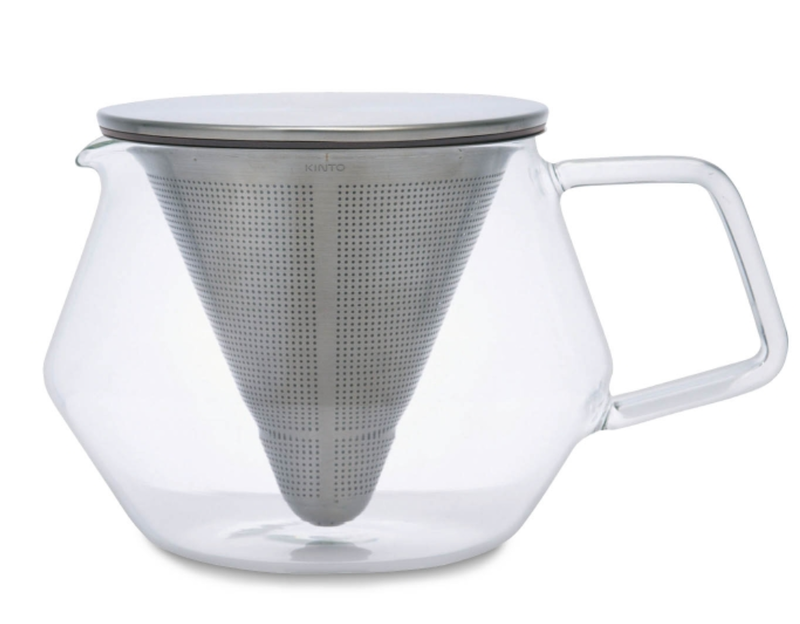 The teapot includes a stainless steel tea strainer and holds 28.74 ounces. To boot, it’s dishwasher and microwave-safe. 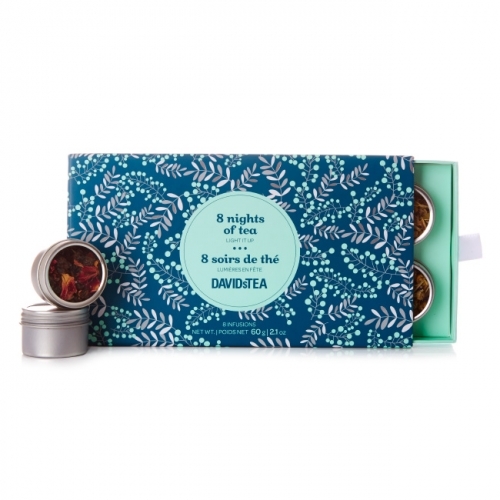 This gift gives your recipient not only tea to drink, but a fun experience to go along with it as well. 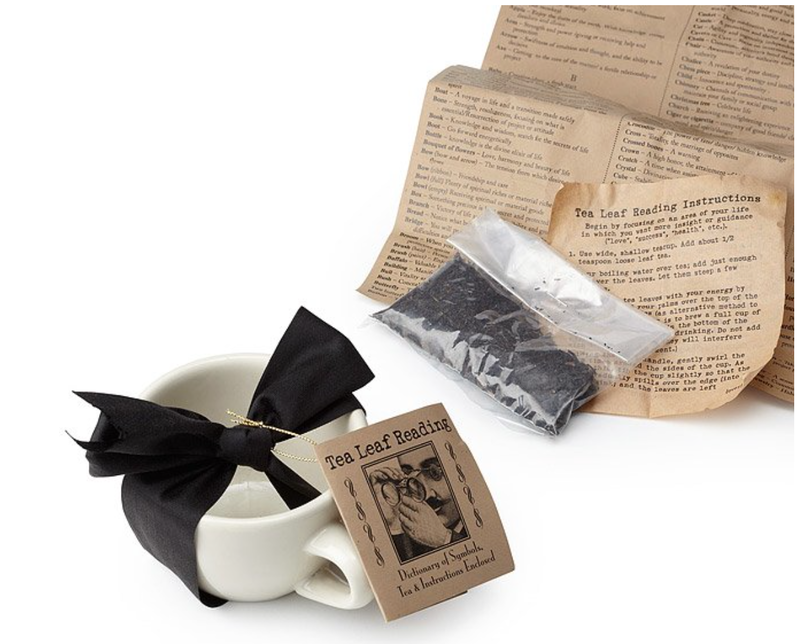 This kit comes with loose leaf black tea, a mug, and a symbol dictionary for your giftee to learn how to interpret tea leaves and the history of this ancient practice.